Does pregnancy affect the oral health of a woman? Even today, an old myth prevails that during pregnancy the mother’s teeth tend to lose its calcium content. It is the diet taken by the mother, which satisfies the calcium need of the baby, and not the calcium from mother’s teeth. If mother’s calcium intake is very low, then calcium and for the baby is accessed through the bones. The adequate amount of calcium for the mother can be ensured from the intake of leafy vegetables, dairy products or supplements prescribed by the obstetrician. During pregnancy, some changes are often observed in the oral health of the mother. The changes occur as a result of hormonal changes, especially in the levels of estrogen and progesterone. These hormonal changes induce a normal reaction between gum tissues and plaque. Regular brushing is needed to remove this plaque, before it hardens into tartar. Tartar formation increases the risk of gingivitis in pregnant women, which if left untreated worsens to periodontitis condition. Pyogenic granuloma of the oral cavity is familiar to gingiva. Pregnant women are often found to be at high risk of developing pregnancy tumors. These inflammatory and non-cancerous tumors are formed when swelling and irritation in the gums increases. Usually, these tumors do not require any specific treatment and after the birth of the baby, they gradually diminish. However, if oral hygienic procedures such as brushing, flossing or chewing, are limited by the tumor then the dentist may remove it. Daily brushing and flossing, especially along the gum line, are the best options to restrain oral problems. Rinsing mouth with anti-plaque and fluoride mouthwashes is also recommended. Gum irritation and plaque formation can be significantly prevented by frequent cleaning from the dentist. This helps to reduce the risk of gingivitis and pregnancy tumors in pregnant women. Does the oral health of a mother affects the baby? A possible link between gum disease and baby’s health is suggested by various studies. Pre-term, low-birthweight babies are often believed to be a result of poor oral hygiene. The bacterial infection from the gums flows down into the bloodstream, from where it may enter into the uterus. Inside the uterus, the bacteria are suspected to trigger the production of chemical called prostaglandins, thereby inducing premature labor. Even though these assumptions have no strong base, but during pregnancy preventive oral health measures are taken for safe delivery. Is it required to avoid any dental procedure during pregnancy? Elective procedures which can be done after baby’s birth are recommended to be avoided during pregnancy. Non-emergency procedures can be carried out within fourth to six months of pregnancy. If any severe dental complications arise, then it can be treated after proper consultation with the obstetrician and dentist. When should a pregnant woman visit a dentist? A dentist should be consulted immediately, when a woman shows pregnancy signs or desires to become pregnant. It is done to ensure if any cleaning of teeth is required. During the dental visit, the oral condition of the woman is clearly assessed and a dental plan is mapped out for the remaining pregnancy period. A dental visit during the second trimester helps to check out if cleaning is required or to monitor any oral changes. 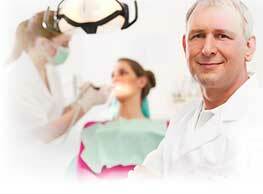 Depending upon patient’s preferences, other dental appointments will be scheduled by the dentist. If any specific changes are noticed during pregnancy, then the dentist should be immediately consulted. Any neglection can pose a risk for both the mother and the unborn child.